the city's Newest Upscale Trendy Boutique Hotel. With a vision and inspiration coming from many sources, Empire Hotels delivers the 55 all suite contemporary hotel with an urban big city feel with a warm and intimate feeling not found in other hotels. The dramatic and unique entrance and lobby bar, the M Lounge, serve as a social center that attracts you with an upscale energetic vibe and entices you to never to leave the property. The suites include kitchenette facilities, a 7 seven layer bedding system, upscale amenities, a rain shower and designer robes in all bathrooms, local chocolates, and ambient lighting which lets you choose your colors of your choice in every suite. 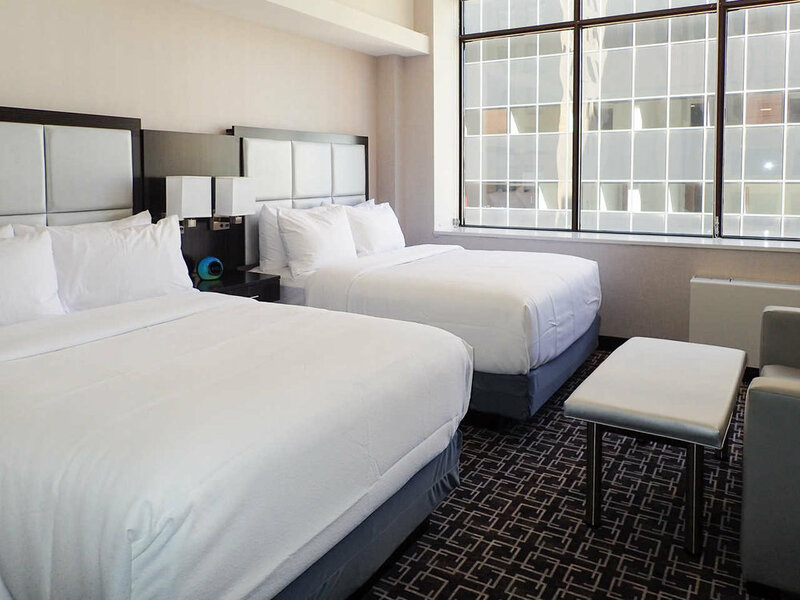 Located at 219 South 4th Street Minneapolis, MN, the luMINN Hotel is inspired with unique interior and exterior lighting features throughout the hotel. The entrance and lobby bar feature unique lighting effects while the guestrooms allow occupants to pick their color of choice to illuminate their room. The pulse of the city and the mood of the guests can be seen and felt, especially during Minnesota Vikings weekends, where the entire building rains purple, inside and out. Contact the hotel to book your room today at the newest, coolest, most intimate boutique hotel in Downtown Minneapolis!